On Sunday, January 19, four juggernaut NFL football teams battled it out in the NFC and AFC Championship games. The New England Patriots defeated the powerhouse Kansas City Chiefs in the AFC Championship by a score of 37-31, in Kansas City, a remarkable feat for a team which many said just didn’t have it this year. The Patriots were led by 5-time Super Bowl champion and all-time great quarterback Tom Brady, whereas the Chiefs were led by MVP Award favorite and rookie quarterback Patrick Mahomes. Both teams had strong seasons, as the Chiefs went 12-4, and Patriots 11-5. The game was tied at 31 at the end of regulation play, and as a result, went to overtime. In overtime games, a coin toss is used to determine who will get to possess the ball first to try and score. Whoever scores a touchdown first wins the game. The Patriots went on to win the coin toss. This was when Tom Brady entered the game and marched 70 yards down the field to hand the ball off to running back Rex Burkhead for the game-winning touchdown. Sadly, due to the sudden-death like rules, Patrick Mahomes and Co. have robbed the chance of potentially scoring. As a result of the game’s finish, the New England Patriots are heading to the Super Bowl once again, for the third year in a row, the fourth time in five years and 10th time in franchise history. What else is new? Three hours prior to the AFC Championship’s kickoff, the New Orleans Saints and the Los Angeles Rams faced off in New Orleans, at the Mercedes-Benz Superdome. The Saints were led by NFL legend and future Hall-of-Famer Drew Brees, and the Rams by third-year quarterback Jared Goff. After a hard fought four quarters of football, the score was left tied at 23. As a result, overtime was necessary. The Saints won the coin toss and elected to receive. After moving the ball well for 30 yards or so, one of Brees’ passes was tipped by a receiver, which resulted in a costly interception. Once the Rams had the ball back, they wasted no time getting into the range of kicker Greg Zuerlein, who went on to kick the game-winning field goal and set his Rams up for a date with Tom Brady’s Patriots in Atlanta for Super Bowl 53. The game will be played on Sunday, February 3rd at 6:30 EST. Both teams are truly special and incredible in their own regard. It’ll definitely be a tough game for both teams, as I expect both Brady and Goff to play good games for all four quarters. As explosive as the Rams are on the offensive, with weapons such as running back Todd Gurley II, and wide-receivers Brandon Cooks and Robert Woods, they can have difficulty scoring. This past week, they only put up 10 points by halftime. We all know that the Patriots can and will score, but the question lies with their defense. If they can play well on both sides of the ball, put pressure on Jared Goff, and limit Gurley’s ability to run the football, they will win this game. 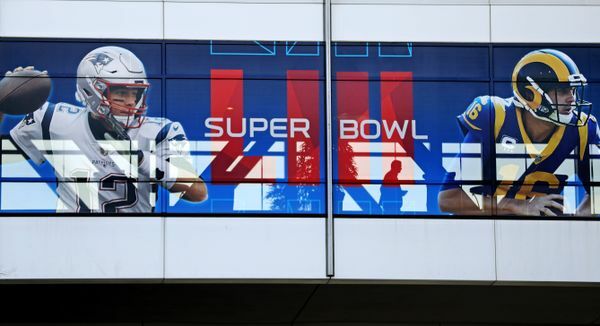 The Patriots have decades worth of experience on their side, with nine Super Bowl appearances being shared by Brady and head coach Bill Belichick. I’m picking this squad to beat the Rams in two weeks time, by a score of 34-31. It will be a hard-fought football game on both sides, and both teams will play good games, but I just won’t bet against Tom Brady. The Rams are a young team, and they have little to no playoff experience, save this year. Experience– This is why I believe the Patriots will win; not because they’re the better team, but because they’ve been there before and WILL do it again.